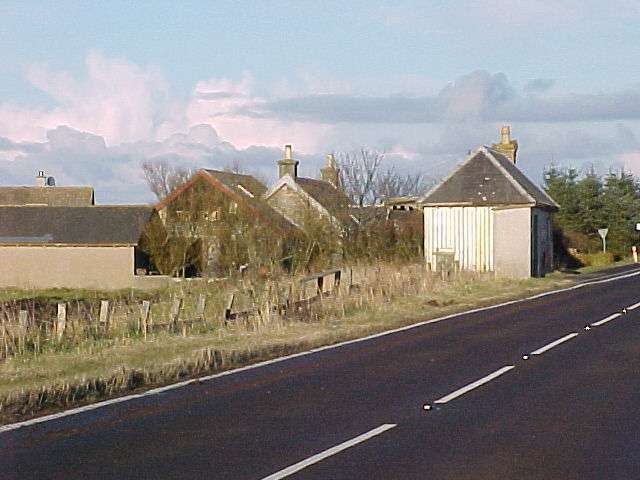 Page started 13 November 2000. 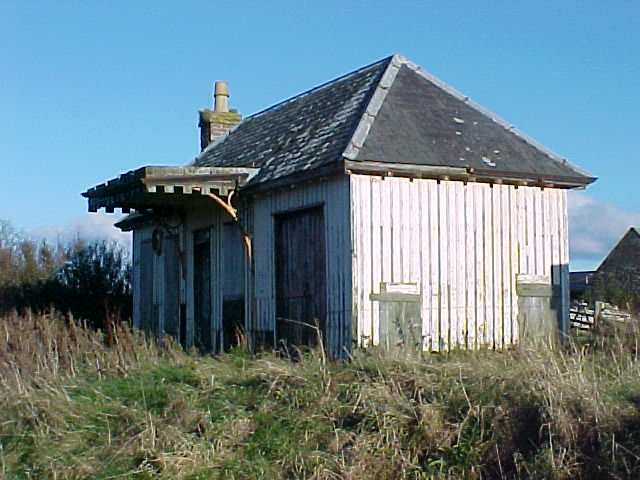 This page will bring together pictures and other information on the Wick and Lybster Light Railway as it is photographed or found. 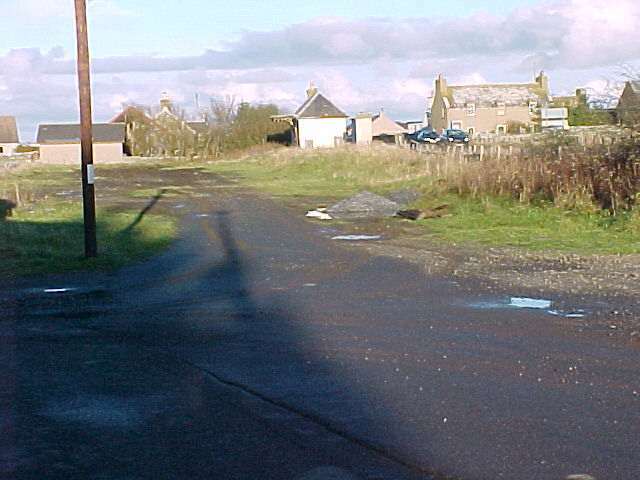 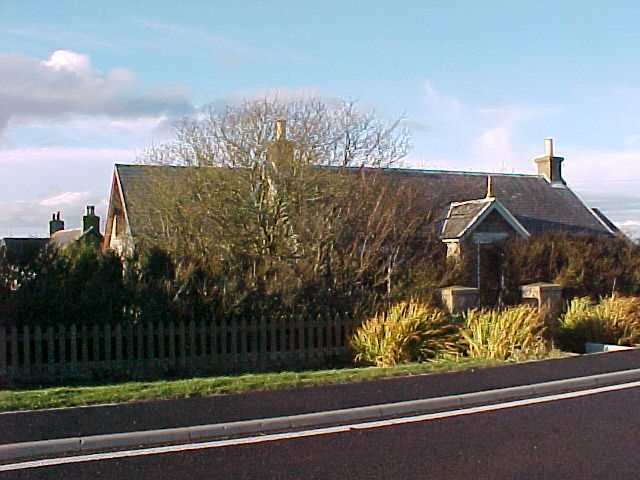 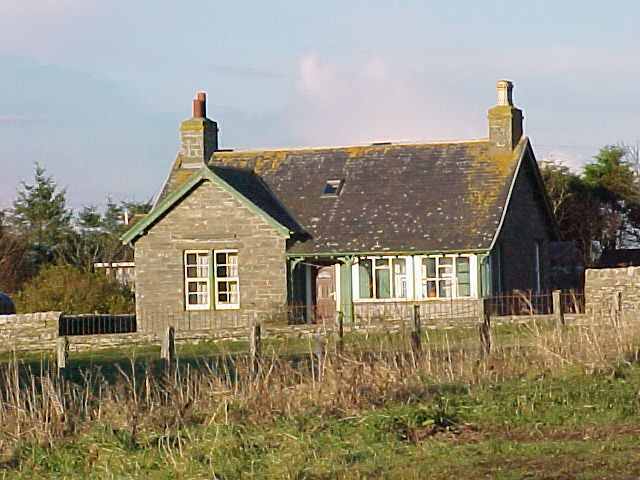 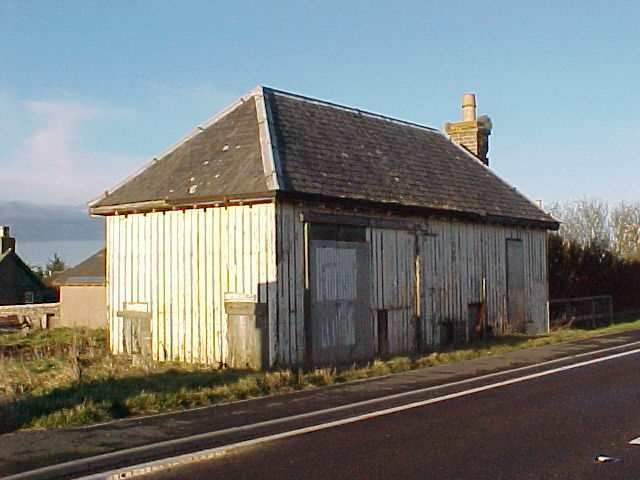 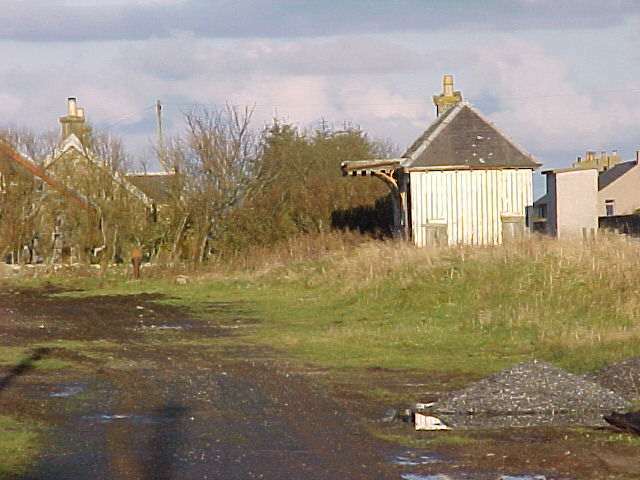 Many of the buildings are still in existence along the route of the former railway. 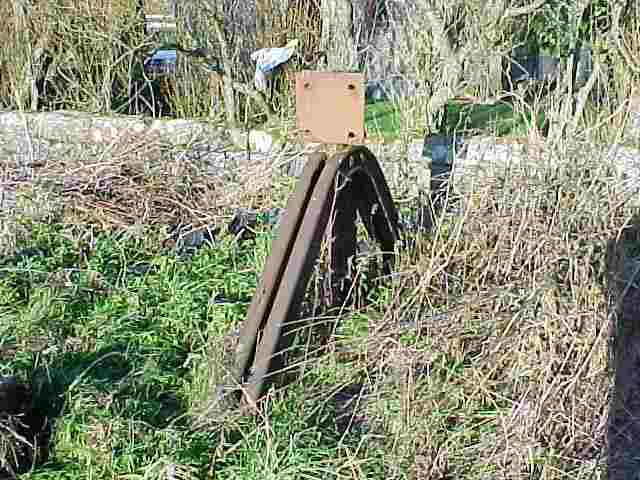 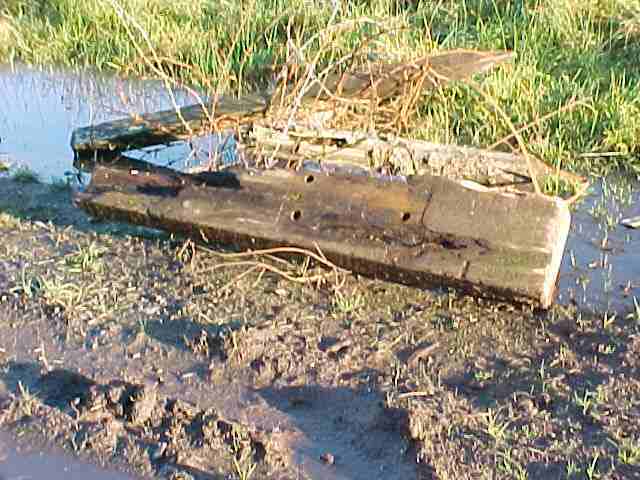 Pictures taken Sunday 12 November 2000.
with over-hang to platform intact.